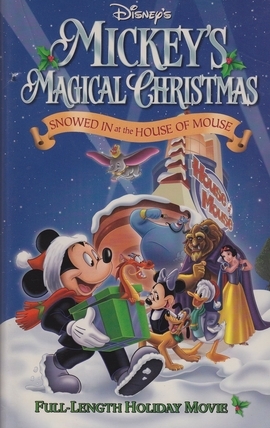 Mickey Mouse: Thanks for letting us share our Christmas with you. Merry Christmas, everybody! Mickey Mouse: Well everybody that's our show. Thank you for spending Christmas Eve at the House of Mouse. Here's wishing everybody a Merry Christmas and a safe trip ho-home!